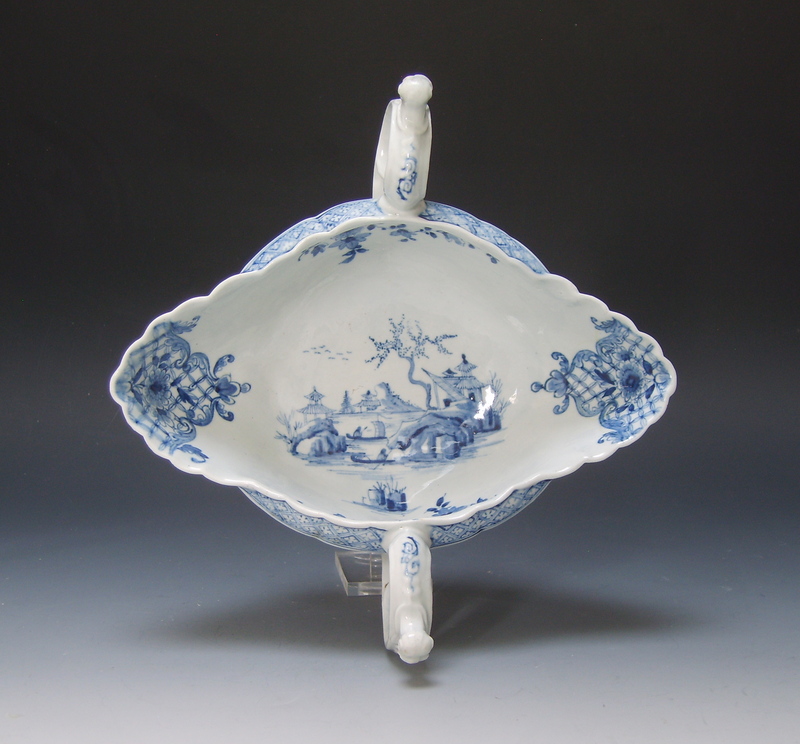 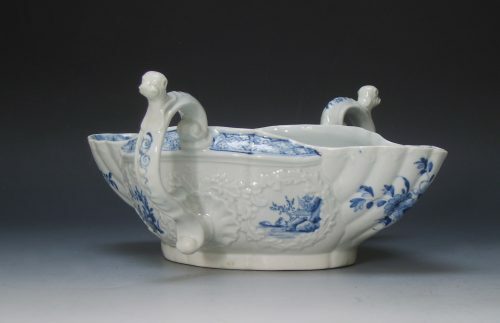 of large size, the oval body modelled with two shell shaped lips and applied with two double-scroll handles with hound head finials forming thumbrests, the exterior is embossed with garlands of leaves which form four circular reserves, painted in underglaze blue with ‘The Two Handled Sauceboat Landscape’ pattern. 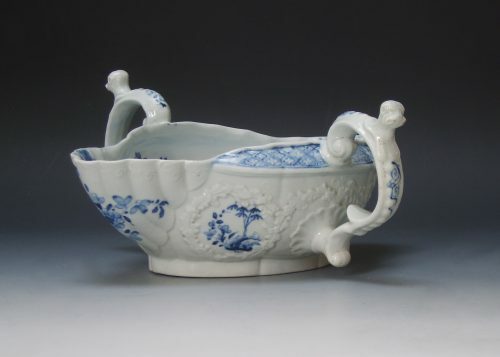 Jean and Joseph Connolly Collection. 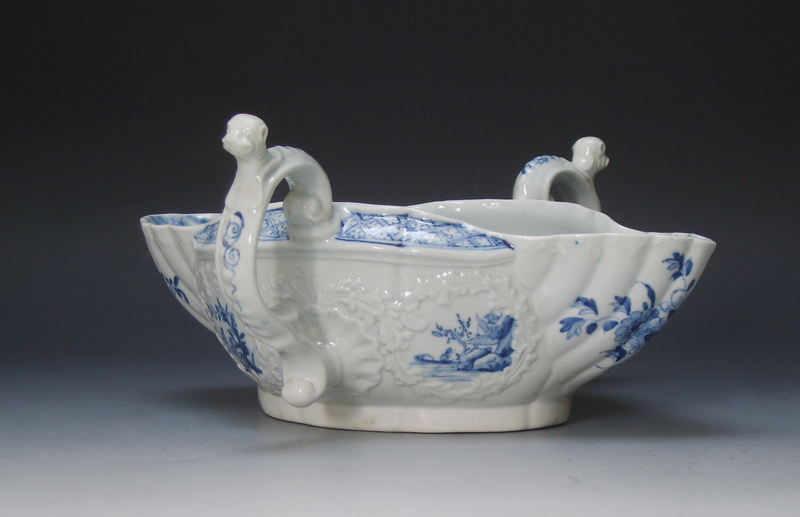 Worcester only produced two-handled boats for relatively few years in the mid 1750s.